Cindy Stuart was only 6 years old when she laced up a pair of ice skates at a birthday party. Skating around at the party soon turned into lessons, and eventually led her to today: Choreographer of Disney on Ice. When she was 17, Stuart left Los Angeles to join the Ice Follies and Holiday on Ice as a principal skater. That same year, the company was purchased by Irvin and Kenneth Feld. It became Walt Disney’s World on Ice, known today as simply Disney on Ice. Stuart’s choreography has been showcased in 15 Disney on Ice productions, including the 2018-2019 run of Disney on Ice presents Mickey’s Search Party. The show brings guests closer to the magic than ever before by immersing the audience both on and off the ice. The show embarks on a quest with Mickey, Minnie, Donald and Goofy as they follow Captain Hook’s treasure map for clues to free Tinkerbell after she’s been captured by pirates. Guests journey through the worlds of Beauty and the Beast, Toy Story, Moana, Disney Pixar’s Coco, Aladdin, The Little Mermaid and Frozen to fill the magic meter that will free Tinkerbell. Mickey’s Search Party promised a show that brought guests closer to the magic and they went above and beyond expectations. From holding the treasure map to Pixar Ball bouncing through the audience, children got to see not only props but characters closer than ever before. Multiple characters began their scenes from the crowd, including Anna and Aladdin. It was a pleasant surprise to look up or turn around and see some of Disney’s classic characters fully engaged within the audience. Another impressive aspect of the show is the aerial acts. Belle and the teacups glide through the air with multi-colored ribbons as Lumiere serenades with “Be Our Guest”. Andy’s green Army men flip above the toys and land sitting perfectly on a tall chair. Eric holds on to Ariel as they spiral over the ice during “Kiss the Girl”. The most impressive by far: brightly colored sugar skulls attached to sway poles, oscillating at 20 feet in the air. As each clue on the treasure map – a rose, toy box, oar, guitar, genie lamp, seashell and snowflake – is found, another portion of the magic meter is filled until Tinkerbell is freed and brings out extra characters for the ultimate finale. Peter Pan, Snow White, Pooh, Tigger, Dopey and Rapunzel close out the show with the rest of the characters for one last song before coming to a beautiful ending. Cindy Stuart has come full circle since she began professionally skating with Disney on Ice. 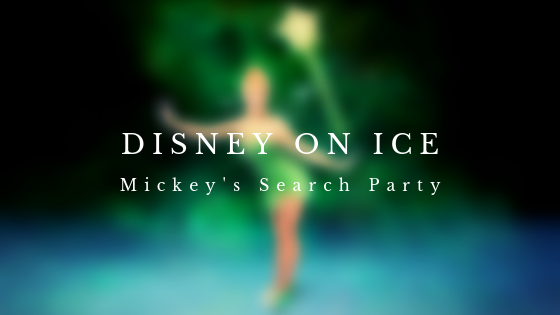 With her latest choreographed show, Disney on Ice presents Mickey’s Search Party, she has been able to bring timeless classics to the ice and to entire arenas full of believers of magic.